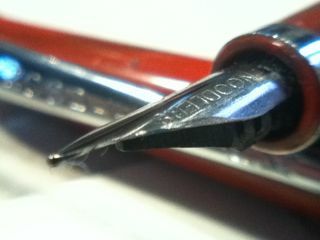 I’ve previously reviewed the BF Squire pen, so it’ll be no surprise for me to say that I like this pen. Let me tell you more about the Mysterium. A friend of the blog, Harry Marks wrote a lovely short scifi story for the pen, you can head to the previous link to read it, everyone should, it’s lovely. First off, it is a lovely shade of burnt orange. Orange may not be my favorite color but this shade is less brilliant and more toasty and warm than safety cone. It looks great with all of my stationery items. It goes well with the Stone. Secondly, it’s got a d20 engraved in place of the Squire sword. Don’t know what a d20 is? It is a 20 sided die, and it is integral to playing certain roleplaying games. 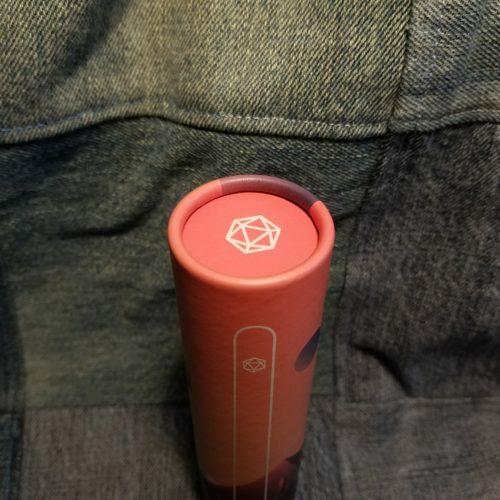 To get geeky on you, BF rolled a 20 on this pen. 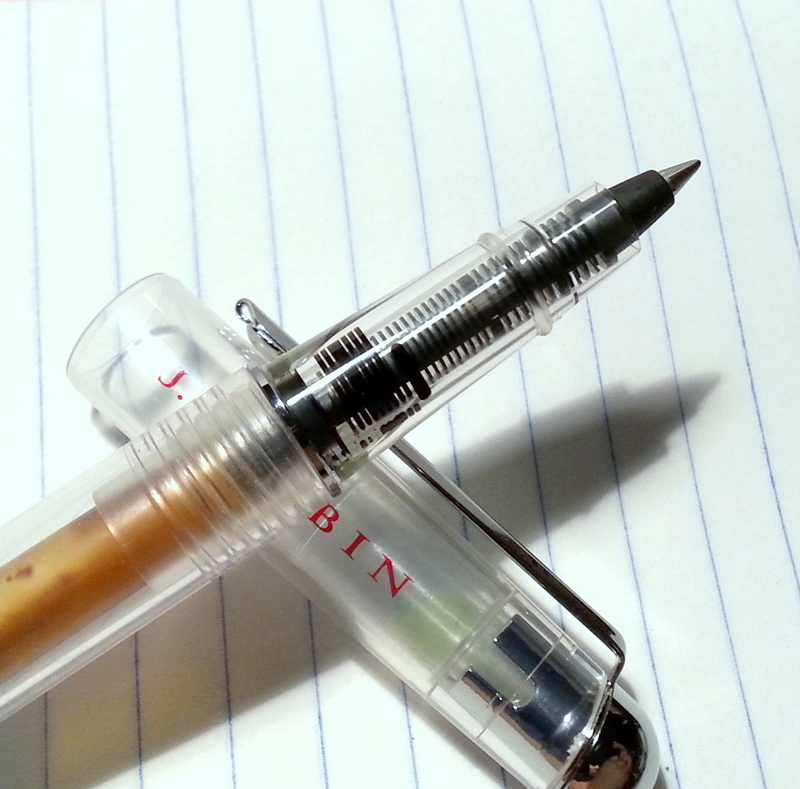 Finally, it is filled with the Schmidt P8126 with black ink. Of the rollerball refills available, this is one of the best. 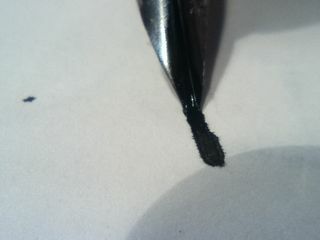 It is smooth and free flowing and deep black. 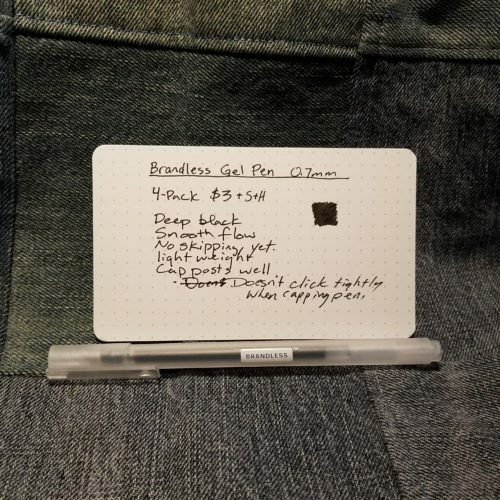 It works perfectly on all BF paper, plus anything else available. 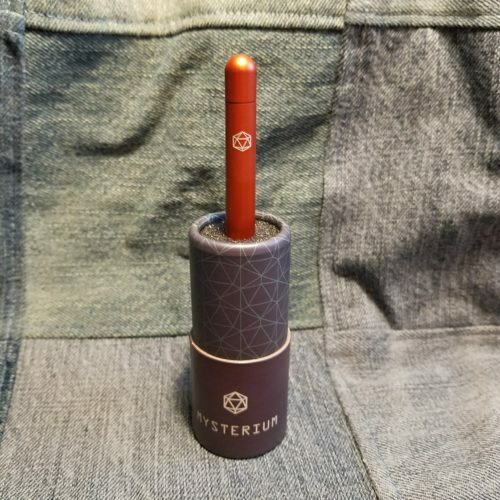 This entry was posted in Review and tagged baron fig, mysterium, pen on 20180529 by leslie. 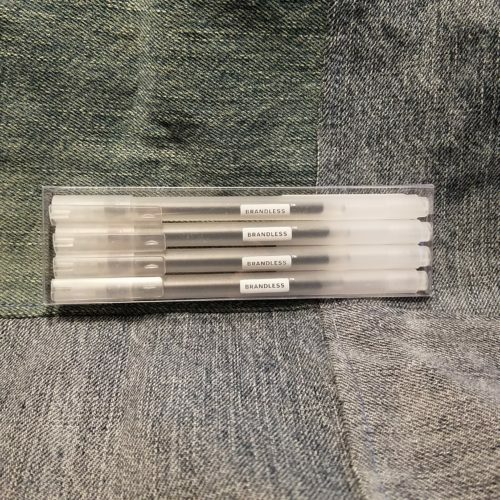 It is important to point out that this review is for the Inkjoy gel pen, not the ballpoint monstrosity that Paperhate also sells under the Inkjoy label. Which can I just say is the most confusing thing ever. 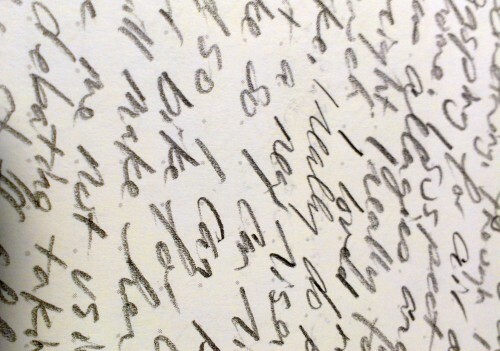 They ought to drop the ball points out of the Inkjoy line up because they are not a joy to use- a blobby horrible mess. With that out of the way, let’s talk about the Inkjoy gel ink. 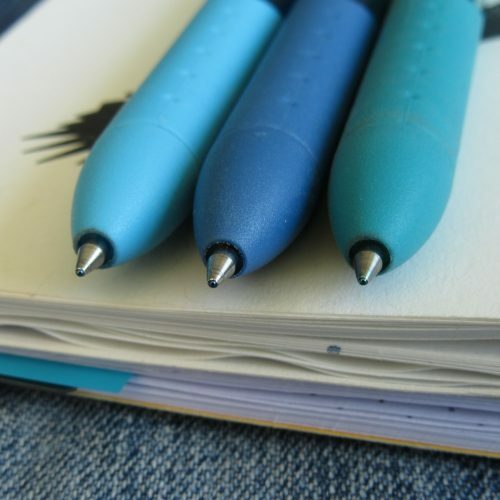 I have several colors that I really enjoy- slate blue, black, teal, and blue. The res is too light for editing but some may like it. The green is nice too. The colors are great but do not match the color of the body well at all. 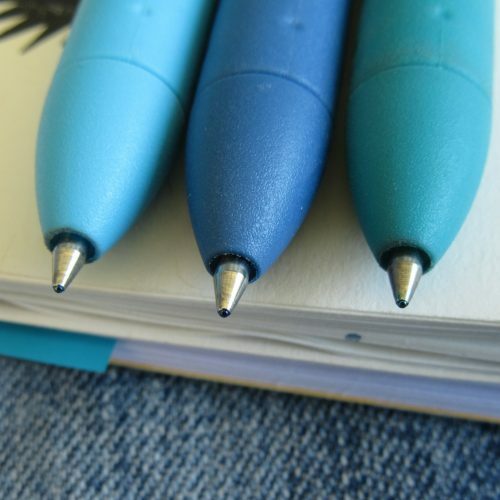 The slate blue is many shades darker than the pen body. The teal is significantly darker as well. 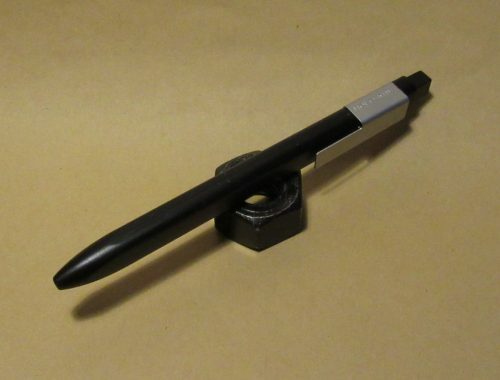 Let’s talk about the shape of the pen… The pen body is long and thick. 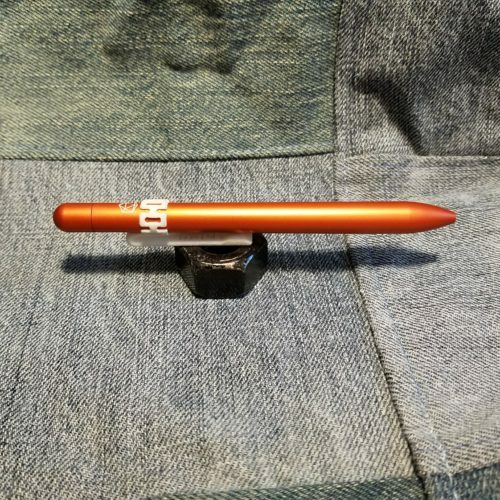 This will please many people who aren’t fond of skinny narrow pens, but if you aren’t a fan of girthy pens, you may find this one, uncomfortable. 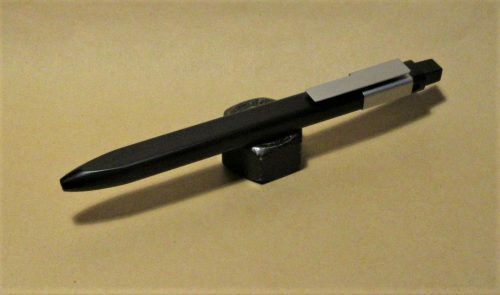 The exterior of the pen is coated is a rubbery and grippy coating. 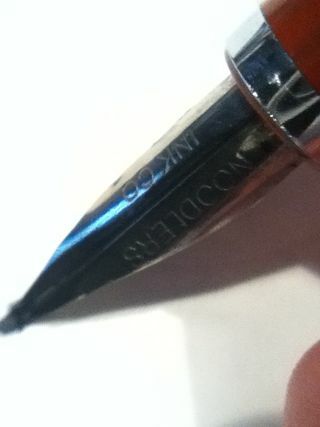 There are divots along the section of the pen you hold to further facilitate the grip. In practice I doubt these are necessary, as the rubbery coating is textured. There is a large translucent window where you can see ink levels. 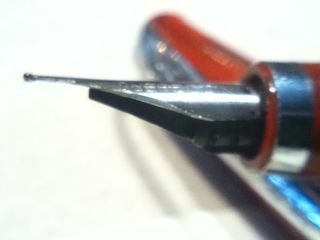 The sturdy clip is made of the same translucent plastic color matched to the ink. The clip could probably stretch over time but I’ve yet to have that happen. 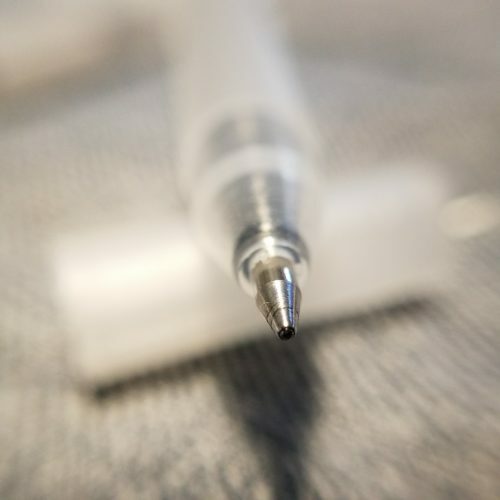 The ink inside is smooth, flows are a good rate, and flows from the moment the waxy blob is removed to the last drop of ink is gone. 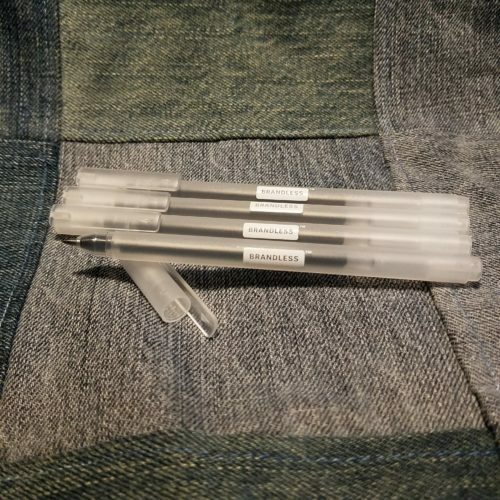 Every single pen I’ve uncorked and used has worked the same. 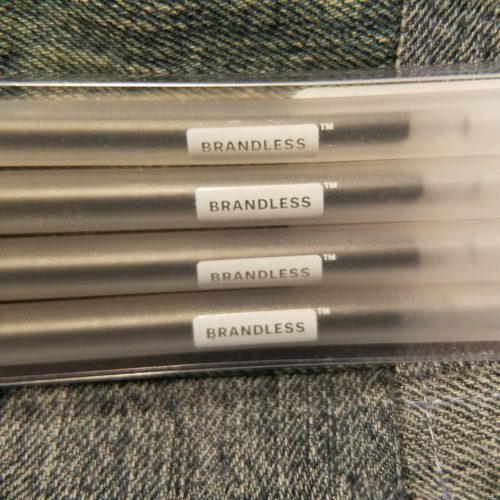 At this point I’ve probably used a half dozen of them and have all the colors in my pen pack at work- and every single one simply flows smoothly every single time it is deployed. Paperhate knocked one out of the park with this ink formulation. One drawback is that there isn’t even a semblance of these being waterproof or even water resistant. Somewhere around here I’ve got a few sample sheets of paper with water tests, the only thing left on most of the papers is the indentation of my original writing. Sad, because the black with a waterproof ink could be THE sketching tool. Another drawback is that the flow of these is so heavy that I literally BLOW through them. 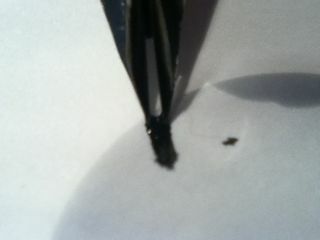 In my post about the G2 I mentioned how fast I destroy one of the Inkjoy refills- I’ve gone through one in a week. The average is about a week and a half. It’s less if I am processing intakes and filling out a lot of paperwork. If I pick up extra hours it is on the low end. 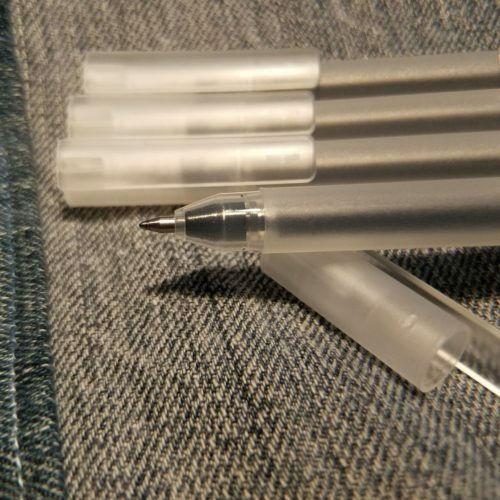 At the end of the day, the InkJoy is a fabulous gel pen. It’s flow is smooth and the sensation of using it is superior to every other gel ink I’ve used. On less absorbent papers it lasts better, but if you use cheap paper be prepared to really blow through the refills. Refills are only available via Amazon in a few colors- specifically black, red, and blue. 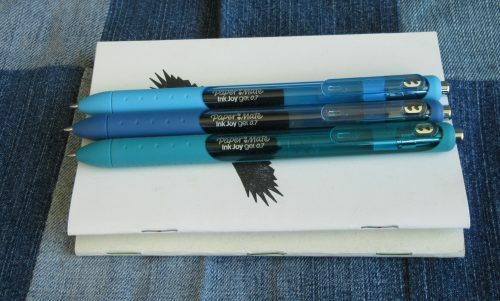 I hope someday that I’ll be able to get the slate blue in a refill form. This entry was posted in Review and tagged gel, inkjoy, pen on 20170829 by leslie. A brief digression before I begin the actual review. This pen is a prime example of why I am so against what I term the beauty, drive-by, or first impression reviews. While I think there is a certain validity to a first impression, it must be balanced against longer term usage to give the reader a real idea of the true nature of the item being reviewed. 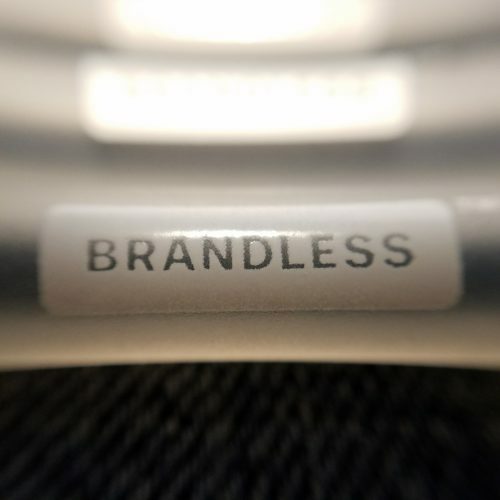 That is to say my first impression of an item may be “Wow this is great.“ Which can change to, “Holy jeebus crisco, this is the worst thing I’ve ever used.” In the course of a month of use. 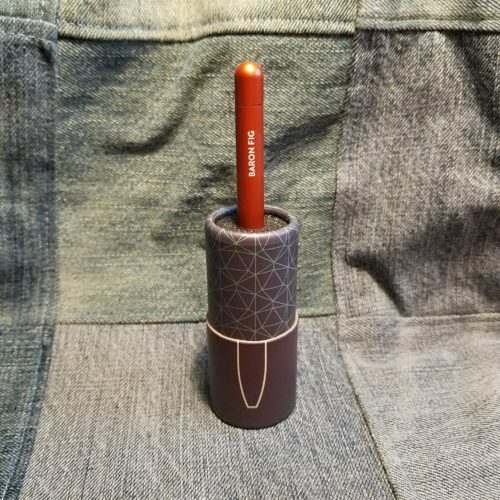 A beauty review can tell us how something looks but nothing about its longer term performance and this pen is a prime example of how initial functionality loses out to performance over time. 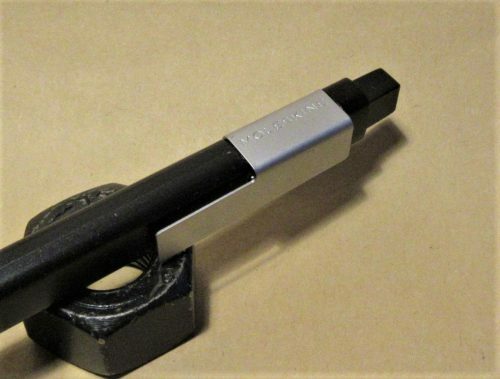 This is a pretty good looking pen when compared to other pens in it’s price range. 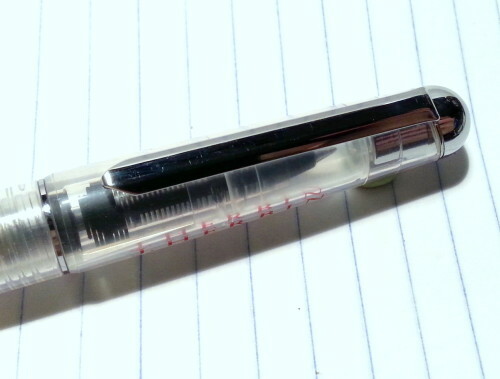 Like the J. Herbin cheap-o fountain pen, this has slightly milky clear plastic for the body, but has a crystal clear grip section, in this case, it houses a feed and a rollerball tip. The pen accepts short international standard carts. Sadly it will not accept long carts. The cap is made of the same milky yet clear plastic, that has just a small amount of give. 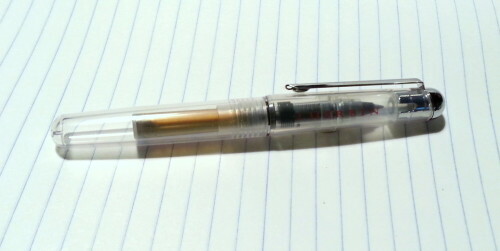 It snaps on for capping the pen with a satisfying click. It posts easily, but I found initially could work it’s way loose as I wrote. 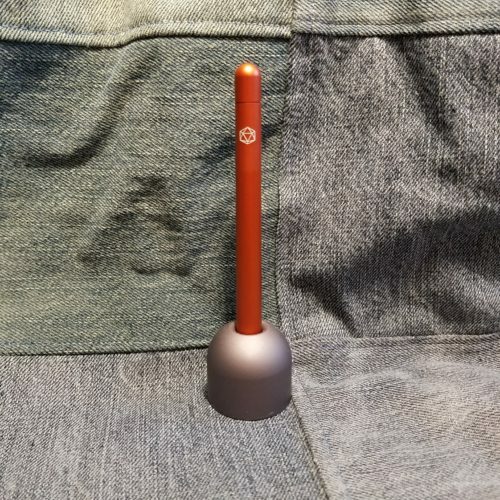 However, after some use, the cap posted just fine. You will need to use this pen posted unless you have smaller dainty hands than my lady hands. I found it too short to use unposted. 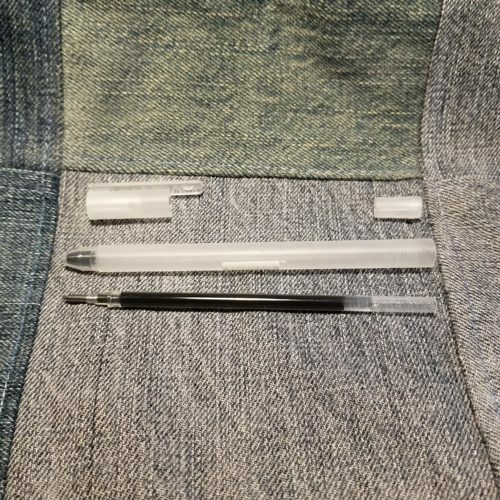 It stayed clipped to pockets, lapels, and notebooks without an issue. The clip is snappy and strong. 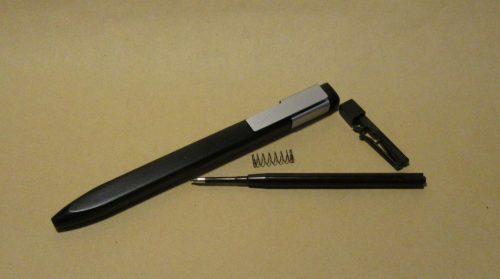 The pen itself is very lightweight. 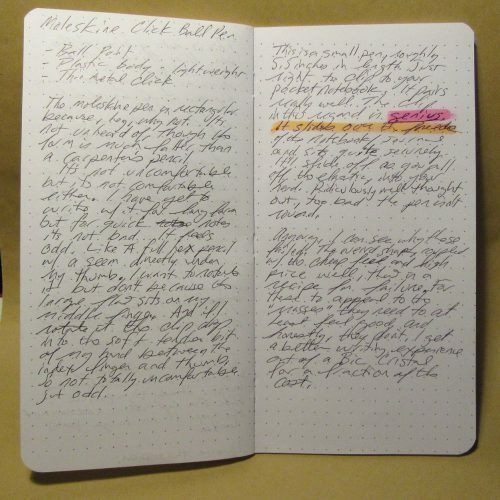 It would be ideal for longer sessions of writing and maybe even note taking sessions. 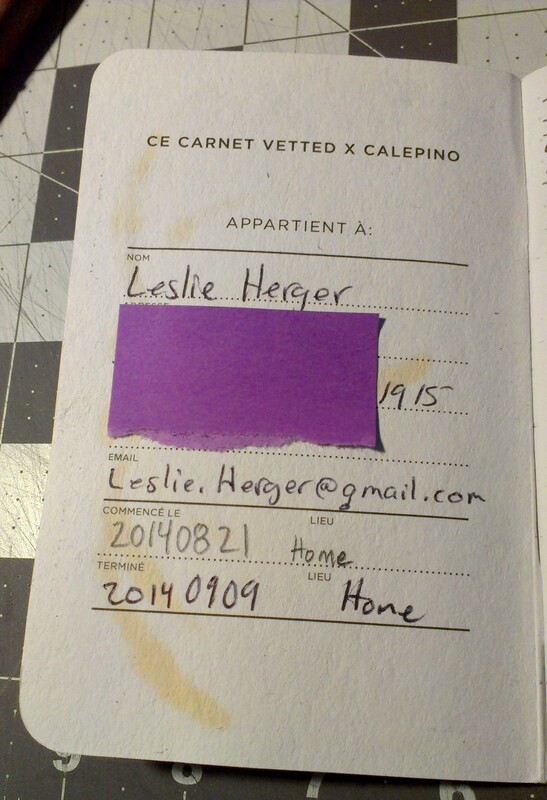 This entry was posted in Review and tagged herbin, ink, j. herbin, pen, Refillable, Rollerball on 20150825 by leslie. Calepino notebooks are the french equivalent of Field Notes. 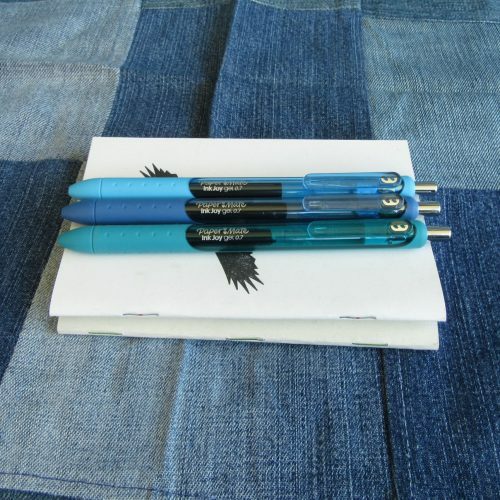 Their limited editions pair with a designer to create their covers, pencils, and matching pens. They have 4 ruling options- lines, grid, dot grid, and plain. Their regular editions feature a color that denotes the kind of grid inside, red, green blue and silver. 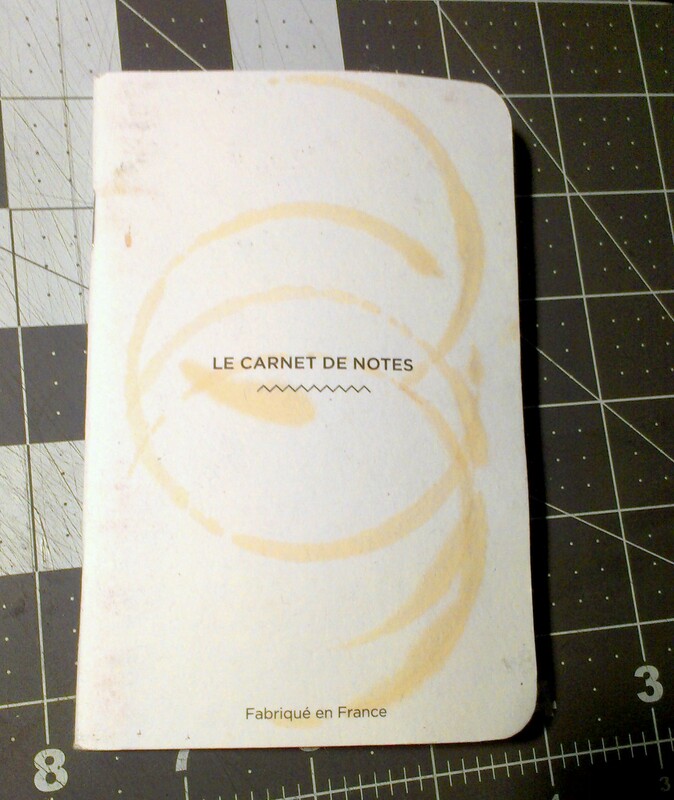 The typical cover features bands of color with the name of the company and notebook’s info. 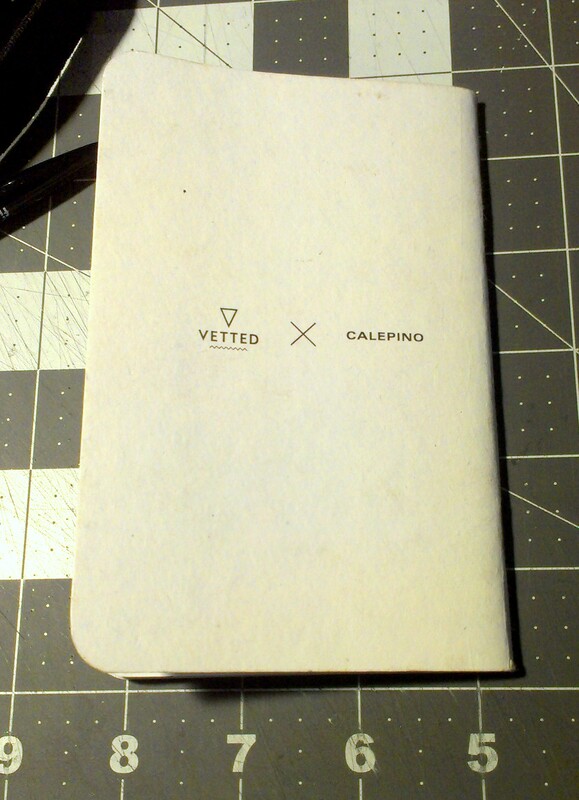 I lucked out and snagged a Vetted X Calepino notebook via a swap a few weeks ago. This featured a white cover with some printing on it in black. 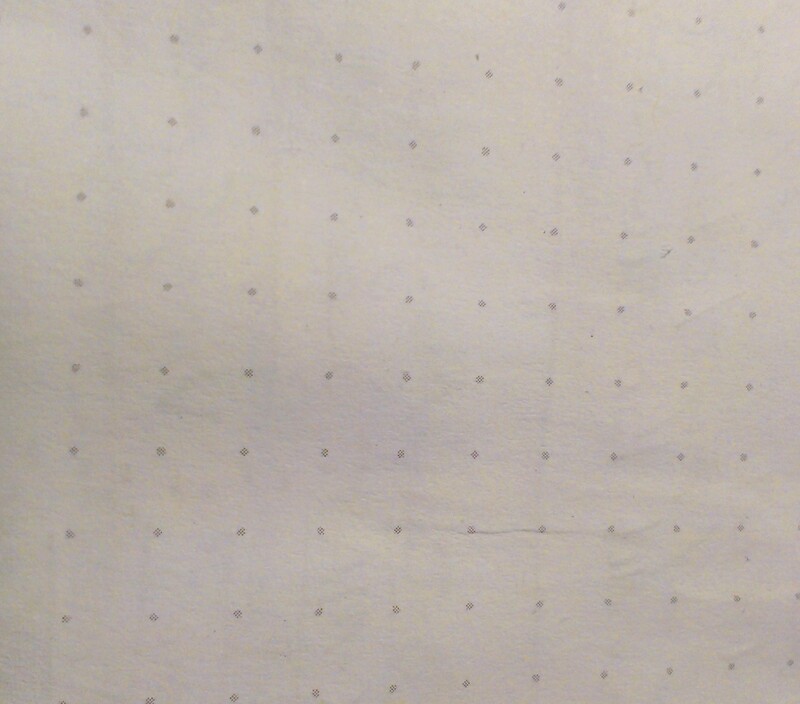 Inside it was loaded up with white dot grid paper. The inside of the cover was printed with the usual “fill in your important info” style lines and such. 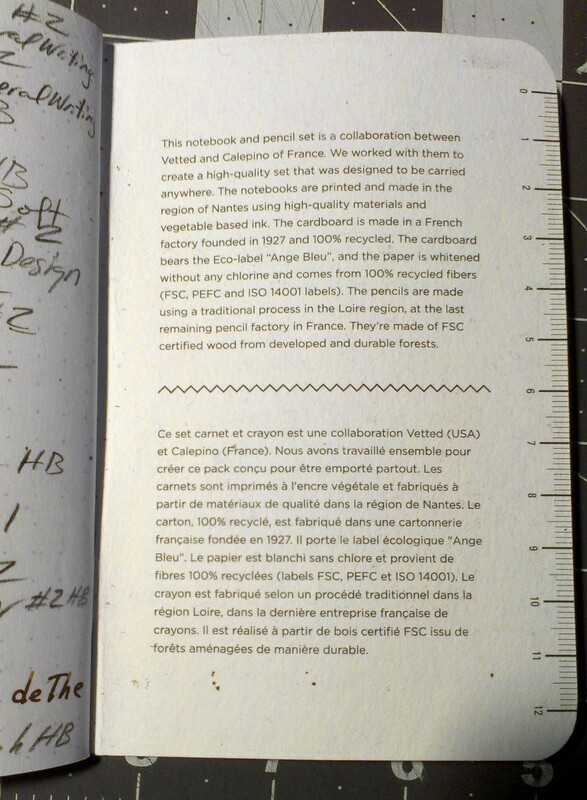 Of course it was in French but my rudimentary High School French tells me that it is pretty much like Word or Field Notes style info. the inside back cover relays info about Calepino and the history of the company as well as a ruler. The cover is tough cardstock and survive my uses, which you can see via the picture means that it’s used as a coaster for my coffee cup in the AM. I found the cover to be very absorbent. the area for info took pencil and BIC clic roller ball well. It also survived, though the white looked very dirty at the end of my week’s of use. This is the danger with white notebooks. Filth. The dot grid was done with a nice gray ink. It was good to know where I was writing but sinks into the background after words are added. Perfect in my book. the paper itself is thick and crinkly, it feels nice, smooth but not glassy enough texture you can see it but isn’t overwhelming. 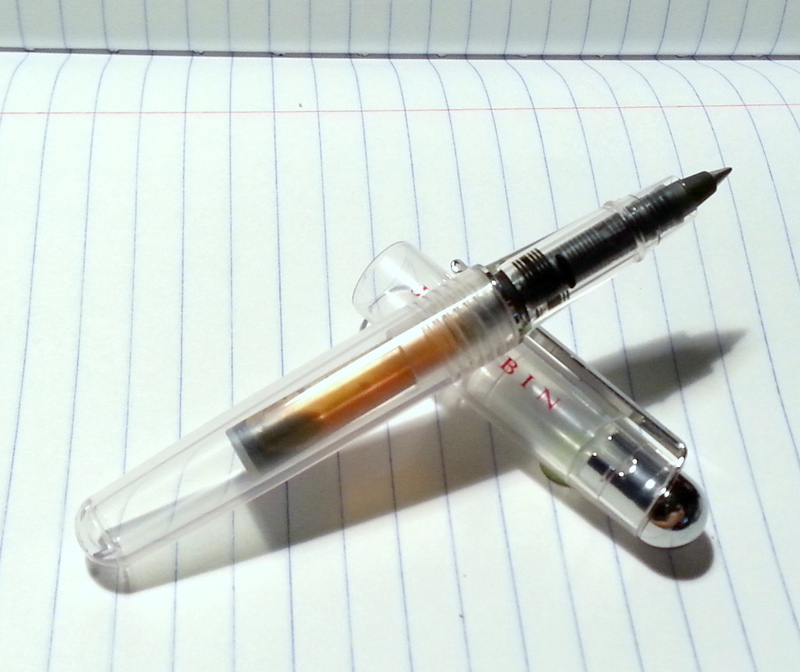 The paper took fountain pens reasonably well with some show through but nothing bad. 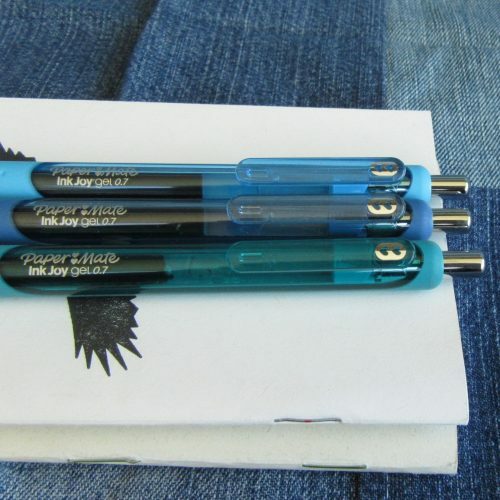 This paper worked wonders with pencils, but not good soft dark pencils like my Palmino Pearl. 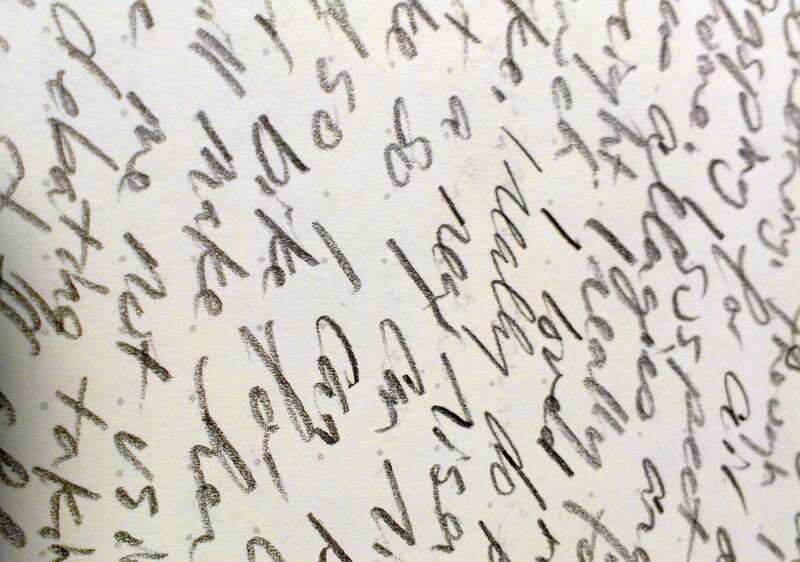 Oh no using a Pearl on this paper was like writing with soft cheese on a cheese grater. Rather this paper was a dream with harder pencils like my General’s Semi-Hex which I generally refer to as the “general’s Semi-Yuck” due to it’s gritty scratchy performance*. Writing with a Neon Ticonderoga was heavenly. Lumgraph HB? Let us not go there. 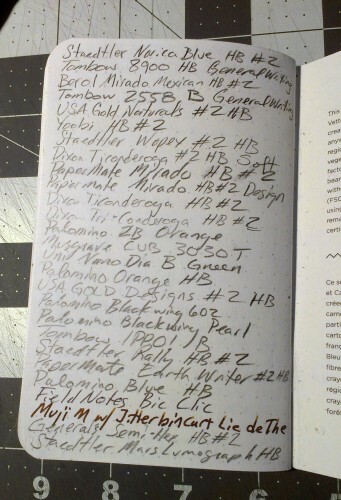 The Caran d’Ache Grafwood B performed like a B should instead of an H. This paper took all the good points of writing with a B or Palomino and threw them out the window, allowing me, NO BEGGING me to use my less expensive pencils to fill it’s pages. 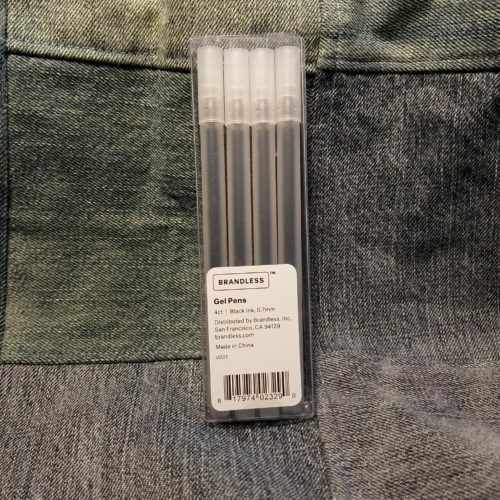 This notebook was cheap pencil HEAVEN. I’m sad it’s gone, where will I use my crappy General’s Semi-Hex? 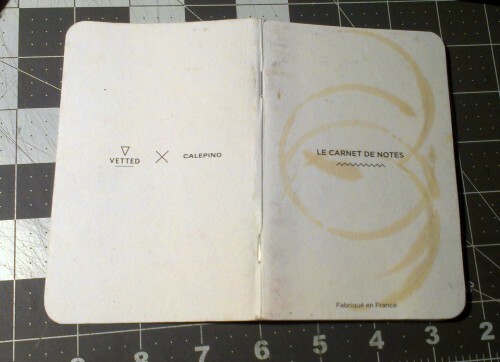 The price of these is the same as Field Notes, Calepino offers a exchange rate (or thereabouts) discount for non- EU buyers. Which is pretty awesome. These little notebooks are definitely on my radar for yet another notebook to buy and keep in my rotation. 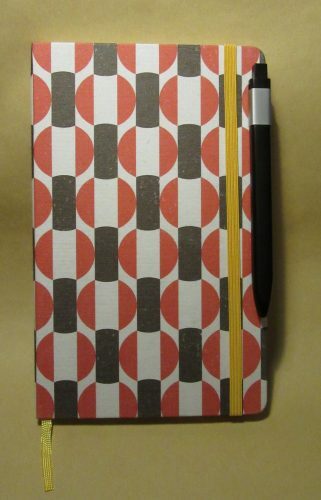 This entry was posted in Review and tagged calepino, calepinoXvetted, notebook, pen, pencil, pocket, vetted on 20140917 by leslie. No joke, I love to draw in my art journal. Sketches, doodles, all sorts of neat stuff can go in there. But what to sketch, how to sketch? Hopefully, these videos will help give some guidance. If you have an issue watching the videos here on my blog you can click the title of the video (top left of each video) and it will open up in youtube for you. This entry was posted in technique and tagged art journal, drawing, ink, paint, pen, pencil, sketch on 20140115 by leslie.